“When we grew up and took on jobs, the first thing we were told was that the boss is always right. In emancipated organizations, the motto is: The customer is always right. Which is equally stupid. In other words, the message is: Do not expect interactivity. Do what you are told. Follow instructions. Never use your brains perchance you question authority. Perchance you stand up to those whom you are supposed to admire or follow to death. And never, never make the mistake of raising the banner of revolt. In other words, authoritarianism is the key to our culture. We must listen to those who are older than us. We must follow those who order us around. 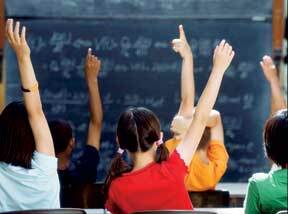 We must never question our teachers, our parents, our bosses, our political leaders, our income tax officers. We must follow, not lead. We must crawl before authority, never stand up to it. We must conform, never question. This rather long quote by Nandy summarizes the kind of personality and citizen that Indian society and education system has been churning out – the ‘authoritarian personality’ (as conceptualized by Adorno1. It is imperative to understand that ‘authoritarian personality’ in this context is not the opposite of a ‘submissive personality.’ In this context both are two sides of the same coin, namely, one submitting oneself without question for fear of authority and the other being the same person dominating others when he/she has the position and authority to do so as he/she believes that position and power legitimizes all actions. In other words, an authoritarian personality will have the following traits: 1. Obsession with rank and status. 2. Respect for and submissiveness to authority figures. 3. Preoccupation with power and using it to submit those below in rank or status). A little reflection on Nandy’s description would hint at the state of affairs, and one would admit that it really isn’t an exaggeration. Given that India is the world’s largest democracy, is this undemocratic, uncritical, conformist citizen what we really wish for? ‘Democracy and/in education’ have long been buzz words in the policy discourse on education. But to what extent have these concepts been clearly articulated or understood? More importantly, it is teachers and educators who need to engage with these concepts if any sort of transformation in society is to be brought about. Like ‘democracy and education’, ‘social justice’ is another popular buzzword. But what social justice entails or how it is to be achieved is something that is mostly not accessible to those who are in positions through which they can truly make a difference – namely, teachers and educators. The aim of the article is to demystify some of these concepts and ideas and impress upon the readers first, why democratic education is desirable, second, what hinders democratic practices in education, and third, what teachers and educators can do in order to practice democratic education. De-mystifying Democracy in/and education: ‘Democracy’ as a concept, is mostly used for conceptualizing a certain form of government or society. However, very rarely have we attempted to address how, for democracy to be successful in the real world, attempts need to be made at the primary socialization levels of education and schooling to follow a style and strategy that provides skills of applicable to multiple perspectives and paradigms. The role of education and schooling in democratizing society, which should be the central focus of those who are concerned with education and teaching, is unfortunately neglected, with drastic consequences to society. A democratic society is meaningless, at times regressive, without citizens being equipped at the primary and secondary school levels with tools of enquiry and analysis to make sense of the natural and social world. We should wake up to how the absence of a concerted and holistic effort in creating an awareness of these aspects of educational policy making, curriculum development and pedagogy makes it difficult for school education to meet the needs of a democratic and pluralistic society. This is especially of relevance in societies, such as India, which, though structurally democratic, are characterized by a range of socio-political prejudices. What hinders democratic practices in education? One of the primary reasons why teachers, despite knowing theoretically about these concepts, find it hard to practice them is their own socialization as students, where they were mostly taught in an authoritarian fashion with little or no freedom given to them. An authoritarian style also implies that the model of mind that teachers work with is that of the learner as a blank slate or tabula rasa. Such a notion of mind leads to the using of the behavioural model of teaching where rote learning, reward and punishment and reproduction of material are the main characteristics. Not only their own education, but the subsequent preparation that teachers undergo in teacher education courses also are unable to help teachers break out of the hold of authoritarian ways of teaching and dealing with students. Thus, while there is the fantasy of being a teacher who enables critical thinking and encourages democratic practices that draw from theory, in practice internalized ways of exerting authority, discipline act as obstacles to teachers being able to be democratic in their practice. Policy documents in India, particularly the NCF (National Curriculum Framework) 2005, have spoken of the need to improve teaching with a focus on fostering problem solving and critical thinking. However, the crucial question at this juncture is how can the teacher, who has herself not undergone her education either at school or in teacher training in a critical and democratic fashion, be expected to facilitate that for her students? (Batra, 20052)Acknowledging that teachers at present are at a disadvantage owing to their own socialization through their own schooling experiences and teacher education, it is imperative that teachers and educators take it upon themselves to do things differently from how they have been done so far. To repeat the common cliché – if we want to see different results, we need to do something different. Through school education we need to create a generation that is fully able to benefit from inclusive and democratic ideas about the natural and social world. The first step towards this end is using more participatory methods to improve on the classroom experience for every student. There are various practical ways in which educators can make this happen in the classroom which will ensure that the process of learning is facilitated by passionate teachers, willing to innovate as opposed to their conventional roles of being authoritarian pedagogues. Following are three strategies or concepts that can work wonders for the learning experience by making education more inclusive and interesting. Teachers once exposed to the benefits of inclusive pedagogy, need to understand that these strategies are not mutually exclusive, but overlap significantly and that they can be used differentially and in different proportions at their own discretion, based on the learning needs of the classroom and the cognitive levels of the learners. Flipped Classrooms: The concept of Flipped Classrooms leverage on the principle of differentiated instruction, which according to Carol Ann Tomlinson (as cited by Ellis, Gable, Greg, & Rock, 2008, p. 32), is the process of “ensuring that what a student learns, how he/she learns it, and how the student demonstrates what he/she has learned is a match for that student’s readiness level, interests, and preferred mode of learning”. In educational parlance this method is also referred to as reverse teaching which implies that in place of conventional methods where the student is lectured in the classroom and asked for follow up assignments unsupervised. Here, the student listens to carefully designed instructions on a video which is incorporated with visual learning aids and applies the concepts supervised in a classroom, so that the teacher can cater to the learning needs of every student and can ensure that each student is equally exposed to the different concepts and ideas to make the process more inclusive. Concept Based Learning: The best way to make learning more effective, democratic and holistic is to use the classroom for conceptual learning as opposed to theoretical instruction with reliance on repetition of facts and information with the expectation that the student can assign large amounts of such information to memory. The idea of Conceptual Learning is to not burden the student with uninteresting facts and information, and instead to expose learners steadily to concepts by creating an interest level in concepts and ideas. An interesting concept promotes retention of associated information and facts as the cognitive functions can work at its optimum level. This method focuses on addressing the ‘why’ as opposed to the ‘what’, ‘where’ and ‘when’ of educational enquiry. One of the biggest problems with the Indian school education is that it is extremely fact and information dependent without establishing conceptual associations that make facts, data and statistics relevant. This in turn promotes rote learning where the emphasis is on retention and replication of textbook information without any concern for analysis and comprehension. The curriculum and textbooks are loaded with facts without critical analysis of the text and the implied expectation is for the students to retain and replicate the facts as they are when tested for in conventional timed examinations. Concept Learning looks at equipping students with the tools for learning and understanding, which are critical habits of the mind and need nurturing from an early age on. Hypothesis Testing Method: To make the learning process more inclusive and to ensure that each learner is a participant in the learning process, teachers can use the ‘Hypothesis Testing Method’. Apart from making the classroom experience more participatory by allowing for different learners as participants, this method promotes critical thinking skills which are crucial for democratic learning. ‘Hypothesis testing’ is about the teacher presenting different sets of propositions or statements and encouraging students in a group environment to collect evidence supporting the hypothesis, to either prove or disprove the hypothesis. This strategy can be used for natural sciences as well as social sciences. Teachers would need to do their own research before presenting a hypothesis that has the maximum scope of evidence and counter evidence. Cambridge University Press, among others, publishes materials on teaching aids for different subjects that teachers can use to promote this method. This can also be used in conjunction with other activity based learning methods. What the use of such methods and such an approach requires is not merely a mechanical execution of activities, but a spirit that seeks to establish a deeper engagement of learners with ideas and knowledge. Such an endeavour for Indian teachers, brought up and socialized in an authoritarian learning environment would be a challenging one, but also the only way in which they can actually pave the way for a true democracy where citizens have cultivated the habits of reasoning and arguing. It also means that the teacher is free of the burden of someone who has to know everything or always be right. Teachers feel a certain anxiety to be the ultimate source of knowledge for their students. However, in the age of information explosion that we live in, such a position perhaps is not even possible. Owing to such anxiety, teachers may even shun the opportunity that technology provides in the form of the internet as something that takes away from their authority. Democratic education instead would celebrate this opportunity to help make students autonomous learners; and in fact celebrate every opportunity that ensures that teachers too remain learners because the growth of teachers is as or more important than that of their students. Batra, Poonam (2005): “Voice and Agency of Teachers: Missing Link in National Curriculum Framework 2005” Economic and Political Weekly, Volume No. 40, Number 40, pp. 4347-4356. Simran Luthra has a Masters in English and is pursuing a Masters in Education from TISS, Mumbai. She has worked as a trainer, teacher and researcher in education. She can be reached at simranluthra@gmail.com. Mounik Lahiri is pursuing a Master in Business Laws from National Law School of India University, Bangalore. He can be reached at themounik@yahoo.com.